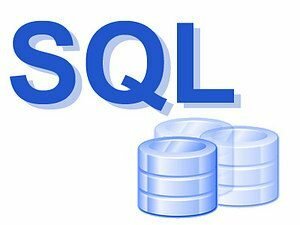 SQL is an extremely powerful relational database query language can make your life easy while working with any Relational database (RDBMS). Manage and maintain large amounts of data using SQL in any Relational database. This instructor led, hands-on class on SQL covers the fundamentals of SQL and the querying of any relational databases using the structured query language. If you want to learn how to query any database using the SQL Query language, you are in the right place. SDF Funding is available to Singapore Companies (For company sponsored SG/PR candidates) who want to learn to use SQL Basics to query any database. Call +65 6296-2995 for Details. 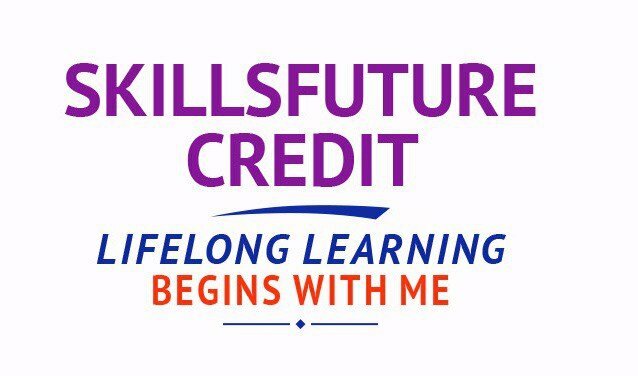 SkillsFuture credits ready for Singaporeans. Whether you work in Business, Finance, IT, Services, Sales, Marketing, Human Resources, Manufacturing, R&D or any other domain, it is important for you to learn SQL. It empowers you to query any database, since you will learn how to write SQL queries, How to Retrieve Data from any RDBMS, How to Manipulate data using SQL, and How to Update or Delete it easily. The SQL Course is Instructor led, conducted in a highly interactive classroom setting with many exercises to learn the practical aspects of SQL. A PC will be provided to each student. during SQL class. You can bring in your own laptop & notebook, if it is pre-loaded with any RDBMS. Use simple cases and exercises to build SQL Scripts, which interact with the database, and do Insert, Update, Delete and Select operations using SQL in any Relational Database. We use MySQL database in the classroom for doing the SQL exercises. If you want, You can bring your own laptop with Oracle database, or SQL Server database pre-installed, for doing the SQL language exercises. Other Databases are fine too. 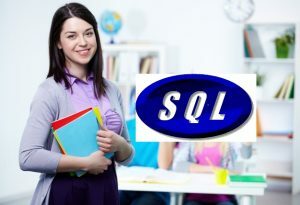 Who Should Attend The SQL Training Class? The SQL Tutorial Course suits both Beginners and Experienced Users of SQL. Whether you have a little or no previous experience with a relational database management system, or are an experienced SQL user, you will benefit from the strong foundation and fundamentals of SQL query language class. Both new SQL Developers and Database Administrators will benefit from this class. An eCertificate of attendance would be given to all participants who complete this 2 Day SQL training course. Notes in folders, Sample SQL Databases, and Exercise Files will be provided. 8-12 participants in a typical SQL class. We keep the class size small to give enough attention & support to all participants in learning to write their first SQL statements with confidence and understanding. It is very practical, and hands-on experience for all participants to learn the power of SQL. Installing SQL, command-line and graphical clients/tools. Understand SQL storage engines, transactions and features of the common engines. What Do You Need To Learn SQL? This course would lay the foundation for RDBMS Concepts, and applying them to real world database applications, using the Structured Query Language. Access to a personal or company database or corporate system can be helpful to practice writing SQL after attending this course. Ready To Learn SQL Basics & Fundamentals? Register for the 2 Days of Introduction to SQL Training today by simply clicking on the chosen course date available at the top of this page. Submit an online enquiry if you have any questions regarding Introduction to SQL training. We also offer Customized Corporate Training for SQL Query Language for Any RDBMS. If you have a group of 10 or more participants, we can conduct this SQL training course at your office location too. Contact us for more information or a quotation. SDF: To claim SDF Funding for the SQL Tutorial Class in Singapore, candidates must be COMPANY SPONSORED, and must be a SINGAPOREAN or PR. Your company must apply for the training grant for this SQL class at the SkillsConnect website. This funding is NOT AVAILABLE TO INDIVIDUALS. SkillsFuture: Individual Singaporeans, aged 25 and above can use their SkillsFuture Credits for this SQL Class in Singapore. Good pace, clear explanations of topics. This training will be very useful to work on basic sql queries at my workplace. Great logic structure, moved at a good pace. Trainer is very engaging and clear when explaining how to use SQL to query single and multiple tables. It will help me to move into a field where data analysts skills are highly valued. The trainer very pleasant & knowledgeable man. This training will pave for us to continue with our advanced SSRS training. Greatest strength of the training is the TRAINER. He is absolutely delightful with vast knowledge, patience, personality and even his SQL examples are so creative and funny. Step by step approach to learn SQL to query single and multiple tables with joins and complex conditions. Trainer is very nice, knowledgeable, helpful and organized. Pace is OK and session is quite structured. This training will help participants to solidify their foundation of SQL and its applications.